Over the years I’ve taken pride in having eaten many a food items but never did I think a day would come when I’d say, I survived drinking kerosene. When the highlight of the trip is such, it deserves a few words on this blog. On a glorious Saturday when the sun was dim and the clouds in full glory, a bunch of us decided to drive down to the valleys of Western Ghats for a little camping. Gathering our gear not only meant tents, torch, shoes and the likes but also enough food to feed the village and a bottle full of kerosene for the fire at night. 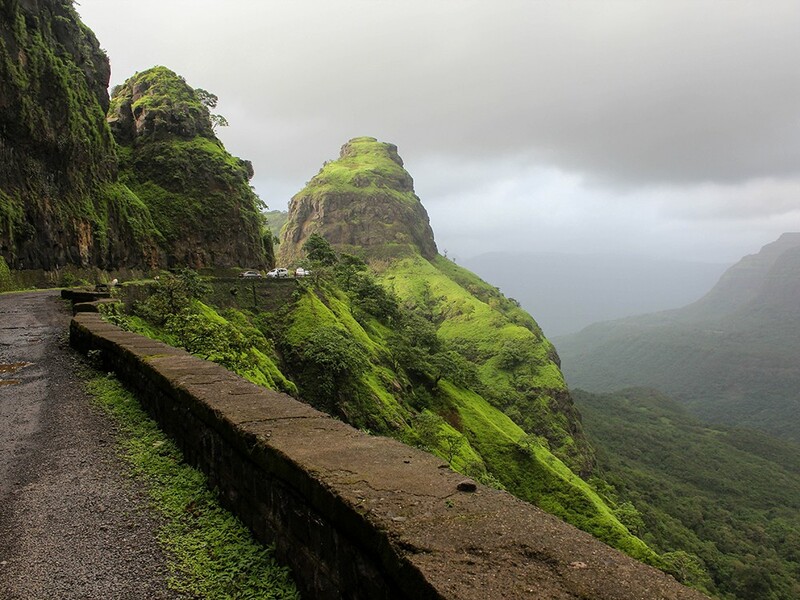 About 230 km south east of Mumbai, the ghats are beautiful and the drive full of picturesque corners. Punctuated by our love for chai and pakoras, (and the occasional pee breaks) we finally made it to Varandha Ghats after 6 hours. 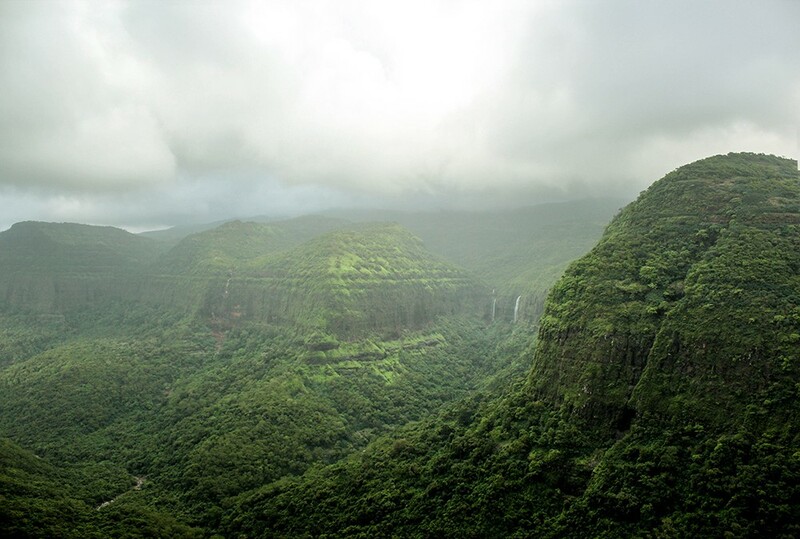 Deep gorges, beautiful waterfalls and fresh greens made up for the gruelling journey up the hill in a cramped SUV. A short trek up the hill and we had found our camping site with breathtaking panoramic views of the valley. A tiny little temple replete with red sindoor smeared walls and eerie bells set the mood right for a midnight sojourn of ghost stories. Dark was descending and we needed to set up our camp for our big party. Rookie campers gathered rocks and dry sticks while the pros hammered down the pins to the tents. Amidst this bevy of activities, a group soon huddled to start the fire. And this is where kerosene starts to play an important role. Parched from the hike and the biscuits I consumed on my way up, I was desperately seeking my water bottle (heck! any water bottle…). It is then, in this twilight zone that I spotted a plastic bottle quietly kept on the side, sticker still intact indicating the mineral contents of spring water. One swig and a gulp later, I was burping kerosene and the fire starters desperately looking for fuel substitutes. It is safe to say, none of these phrases sounded remotely funny to me as my next few hours were dedicated to getting kerosene out of my system. After multiple trials and a lot of staring into the blankness, I was finally able to rid my body of the poison. What followed were days of faint kerosene smelling breath and this innate feeling of being a mobile fuel container. Takeaway: Must this happen ever, (let’s hope it doesn’t) keep a box full of salt or a burnt toast ready. Fibrous food items and generous amount of water can help dispel any poisonous alien items out of our system. And no that doesn’t apply for when you consume a whole bottle. It’s best you see a doctor then. That apart, this trip turned out to be a pretty fun adventure. First we lost a bunch of our comarades to a faulty Zoomcar and then our search party to the dark. If anything, this trip has reinstated my belief in miracles. Nestled between the valleys, Bhor was a beautiful little village with fresh produce market and a penchant for unusually big jackfruits. Hidden in a nook is a dispensary that could serve as a girl’s best friend if you’re not used to exposing yourself to nature. The views breathtaking and the weather conducive, I would recommend this place to anyone with a few days to spare. Special ups to the boys for arranging this trip and making this quite the success.